I complained about the inadequate lighting in the kitchen of our 100 year-old farm house for years. 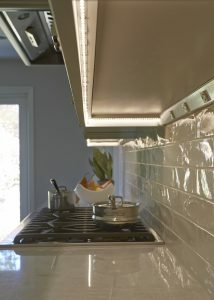 Many older kitchens lack proper lighting particularly under cabinets and work areas. 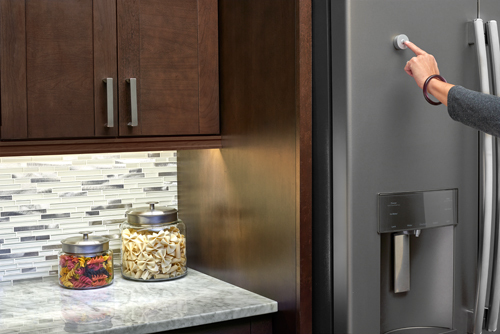 A solution to poor or insufficient lighting is under cabinet lighting. Under cabinet lighting gives either ambient or task lighting to kitchen countertops, bookcases, china and curio cabinets, and anywhere additional lighting is needed. To choose task or ambient lighting, apply the LED lighting to either the preset 45 or 90 degree angle on the molding. These handy lig hts are relatively easy to install. Step 1 – Clean bottom of cabinet where light rail will be mounted to make sure it will lie flush. Step 2 – Attach the molding to the bottom of the cabinet with your preferred methods (screws or nails). Step 3 – Begin to install the LED lights following the manufacturer’s instructions. 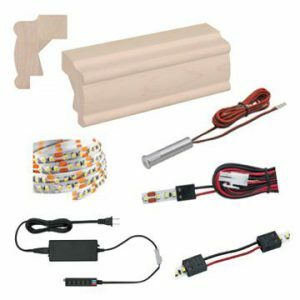 The Light Ready Rail Kit™ is designed to fit 3/8in. 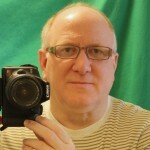 wide lighting on the 90 degree cut, and the 5/8-in. lighting on the 45 degree cut. Step 4 – With power off, install the transformer per manufacturer’s specifications and requirements.